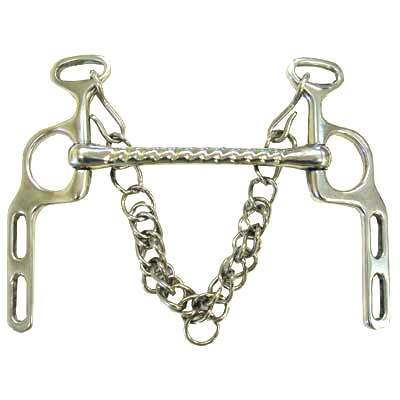 We feature all types of Horse Tack Supplies including Premium Quality Driving Bits. Horse Tack Now is an online horse tack store offering Corkscrew Straight Mouth Military Elbow Driving Bits and many other premium quality horse supplies. This Driving Bit is one of the most popular driving bits. Horse Tack Now is the ultimate source for bits on the web. You can view the polished chrome finish on this sturdy horse bit in the image above. This item is made of pure solid stainless steel. Only the best driving bits are sold at HorseTackNow at discount prices.